But the first one was when Emily was three, and it was a total experiment. See - until I had children, I'd never experienced a kid-birthday party myself. Ever. In Singapore where I grew up, people didn't throw birthday parties for their kids at which other kids got dropped off to have a good time. People celebrated their kids' birthdays by inviting their own (adult) friends. Who, if they happened to have kids, were allowed to bring them. Sometimes, the kids did not know the birthday kid. And sometimes, there were no other kids. And the food was usually a full meal (e.g. lunch, tea, dinner) that was homecooked (if the parents were so inclined), or else it was catered and looked like a wedding reception - of adult food. With maybe one obligatory dish for the kids, if they turned up. I have happy memories of my mother serving a cauldron of gloriously spicy chicken curry with fresh loaves of bread, or noodles, or DIY popiah (egg rolls) when my brother or I had a birthday. The entire extended family turned up to feast and celebrate. The only thing clue to it being a kid-birthday party was the presents, which were often red packets of money. 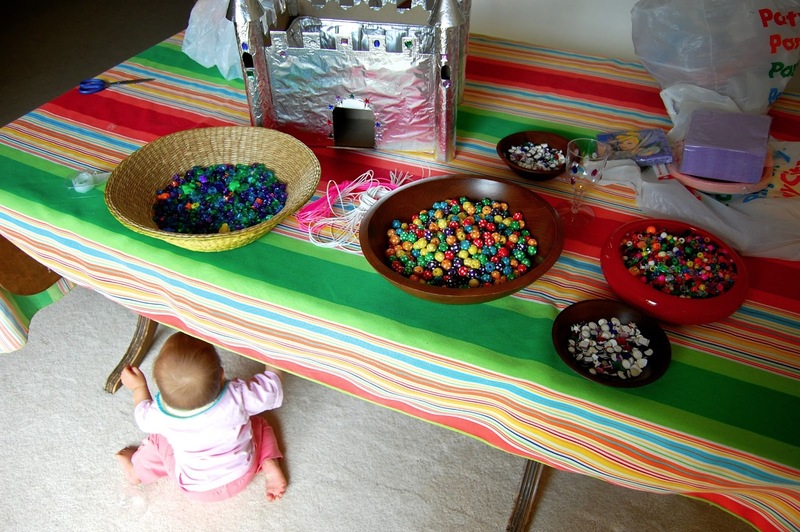 Sometimes, particularly if the child was an infant, the relatives might even bring jewelry. Not the plastic thingamajigs for dress-up but real gold and jade, which the birthday baby's mother might then squirrel away until the kid turned 16 or 18 or got married or whatever. 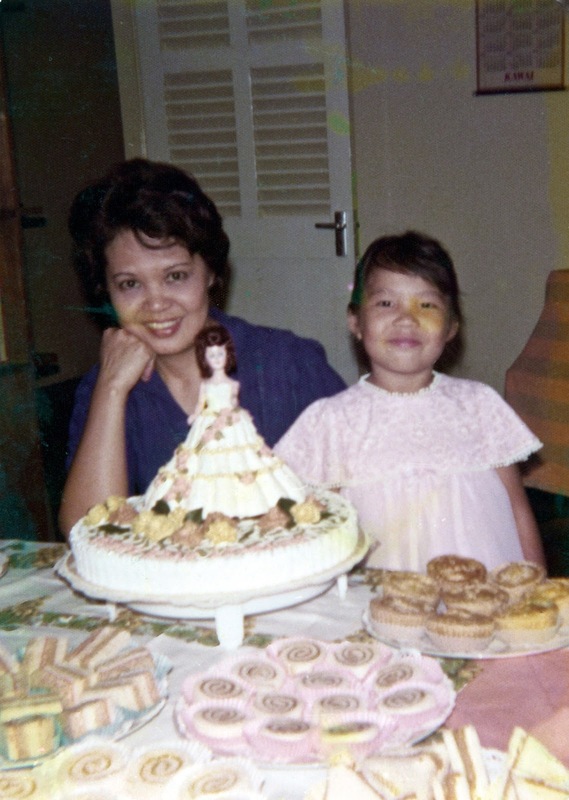 If the family was especially Westernized, there might have been a cake (so I guess yes, we were Westernized). I have since heard that Singaporean parents now do throw themed kid-centered birthday parties for their children, with pinatas and coordinated decor and everything. But way back when I was a kid, family feasts were all I knew. Anyway, so when my first child was old enough to ask for a birthday party, I was stumped. I now lived in the US; all my relatives and friends were back in Singapore. Who on earth would I invite? So we invited the neighbor kids. Who were in middle and high school. To attend a three-year-old's Princess party. It couldn't have been stranger. All I knew was there had to be cake and maybe some cookies. The idea of decorations or matching tableware or -gasp- crafts and games never occurred to me. And what was with this themed thing? Why on earth would anyone need a theme to celebrate a birthday? fussy scalloped-cut paper cups filled with goldfish and sporting fussy flags. hand-drawn, hand-cut, hand-arranged and hand-glued. Pinnacle of fussiness. Emily's 3rd birthday party: baby Jenna under the table during set-up. I ran birthday parties with infants underfoot (and in arms, and in utero). Lesson #1: Invite similar-aged children. If the child doesn't know any, they're probably too young to have a kid birthday party and it might make more sense to have an intimate celebration with just family. Lesson #2: Apparently, children expect to be entertained at parties. There apparently must be games like treasure hunts. Also crafts, because children apparently like making things. Lesson #3: You do not have to entertain or feed the parents. Apparently, the birthday party is for the kid. Mind-blowing! Who would've guessed? Lesson #4: You cannot just invite children to a party to celebrate the birthday kid and eat cake and call it a day. There must be take-home stuff. Children expect it. It's called a goodie bag, and it can be filled with anything but the norm is candy, a pencil and some plastic trinket. Oh, I could go on, friends. My inauguration into the world of Western birthday culture was fraught with misconceptions. The only thing funnier than my ignorance was my resistance to doing parties the way everyone else did. My kids wanted birthday parties straight out of the pages of an Oriental Trading Company catalog; I wanted a big pot of curry and the relatives, all relaxing. Losing battle, right? Let's fast-forward to last last weekend, six years after that first birthday party. I'm not going to say I've come a long way since then. I mean, my disposable cutlery still doesn't match the eclectic selection of paper napkins we've corralled from past parties. However, I do have a comfortable system on which I fall back whenever birthday season rolls around. It works for me and my particular personality, anyway. I'm happy to share the lessons I've learned, which have streamlined my somewhat manic approach to prepping for and running the show. Some of these lessons might be contrary to what you personally believe is stellar party behavior but remember: we're all different and what works for me may not work for you, and vice versa, okay? 1 Do it outdoors, period. 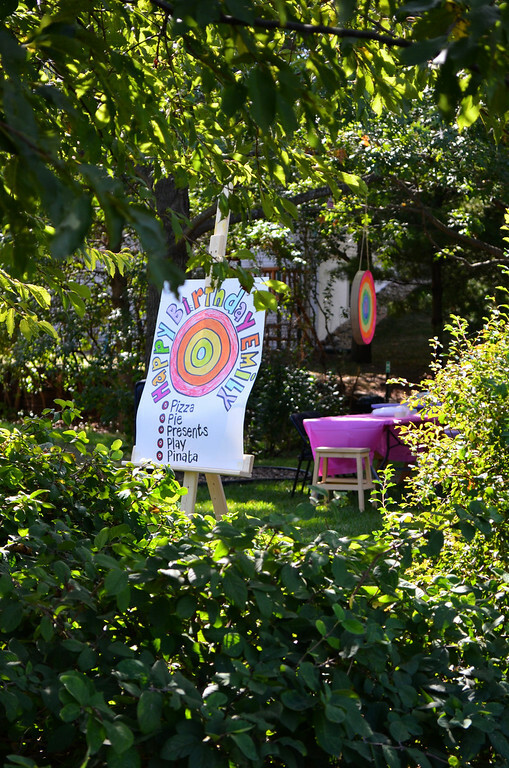 Our most relaxed parties have been the outdoor ones. I'm personally convinced that if you can hold a kid-gathering outside on a 75 degree day, you don't need anything else in order to declare it a win. All the decorations and activities are merely a (very pale) bonus. But since we're talking about parties in particular, outdoor means fresh air, good light and space for the kids to run and amuse themselves in between the formal acts of the party. More space also means more tables can be set up so that there are fixed stations for food, crafts and other activities without having to hurriedly clear a single one after one activity (e.g. food) in order to set it for the next (e.g. crafts). Because only one of our kids is born in a warm-weather month, we've actually moved our other kids' house parties to the summer, disregarding their actual birth dates. Just to get an outdoor setting! We still plan to celebrate their actual birthdays (indoors) with family but we feel it's more enjoyable for young friends to play at an outdoor party. I have learned to run our parties as if they were a classroom lesson - I plan the schedule out on paper, then keep a mental version of that in my head on the day itself and I watch the clock. Vigilantly. During my first few parties, I actually stuck the paper schedule on the wall so I could follow it. And I was always surprised by how little time a game actually takes, and how much time opening gifts actually does. Now, 10 parties later, I roughly know how long each segment will be (e.g. pizza-eating-by-12-kids = 30 minutes) and don't have to check my watch every few seconds to watch the time pass. Children = mess. That's a fact. Sticky liquids: we do not use glue. There are exceptions, but where there can be found a less wet alternative, we will pick that. Examples: self-adhesive anything, double-sided tape, glue dots. The child-friendly sort of wet glue does not dry fast enough to keep craft bits stuck together and results in frustrated (or worse, messy) children. Stainy liquids: we do not use paint. Unless it is an Art-themed party (which I have never had) and guests were told beforehand to wear ratty clothes and bring a smock and you have a garden hose on hand, and an adult helper with a hair dryer to dry the paint so the kids can take home their "craft" without staining someone else (or worse, their car seats). We use markers, including Sharpies - you'd be surprised by how adept even 3-year-olds are at using those without staining themselves. 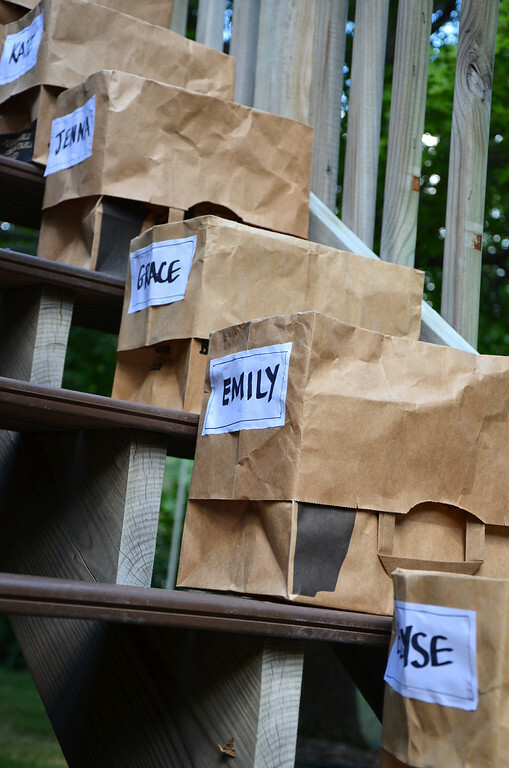 Compartmentalizing: At the beginning of the party, each guest gets a big grocery sack with handles with their name on it. They are told that these are like portable cubby holes: they dump all their stuff in their sack, including the sweater they came in but which they took off when it got too warm, the loot from the pinata, their crafts, their blowout, cupcake topper toy, their prizes, etc. If we hand out goodie bags at the end of the party, they get tossed in there and the guests informed that there is a goodbye-and-thank-you surprise in their sack waiting for them when they get in their car. When their parents arrive to pick them up, there is no scramble to locate their stuff - they grab their sack and leave. These aren't the prettiest carryalls but they are sanity-savers. And the kids love that they have their own place to put (and find) their things while in a house that's not their own. By "fuss", I really mean "superfluous details". For an example of a fussy party LiEr threw, scroll back up to the earlier photos of Emily's 3rd birthday party (unblogged; don't go looking for it on ikatbag). If you've followed my blog for a while, you'll probably know that I love details in a project because they make projects extra fun. At parties, though, I prefer to keep those to a minimum. More fussy stuff means extra work, extra hands needed to administer them, extra time, and extra stress should some sabotage happen on the day itself. You know, like unexpected wind or a sibling accidentally poking a finger into a beautiful cake - my brother used to do that a lot when he was a kid (although I'm not convinced it was accidental). It gets extra ridiculous when a theme is involved - suddenly one is tempted to include themed tableware, themed cakes, themed drinks, themed favors, themed crafts, sometimes to the point of forcing something to fit that doesn't. I used to ooh and aah at those perfectly-coordinated parties on people's blogs where the cupcake toppers match the labels on the bottles of drinking water, out of which pop polka-dotted straws in the colors of the parents' football team and everything has a pretty bow tied to it and all the fonts are printed on the computer and think that, by comparison, my parties are hand-drawn and crude and vulgar. I've since revised my outlook: I think that those kinds of parties make certain personality types feel happy and other kinds of parties make other personality types feel happy. I like the kinds with wacky crafts that the kids can take home and actually play with and a lot of outdoor running and store-bought cake and who cares whether the forks are even all the same, let alone match the plates. 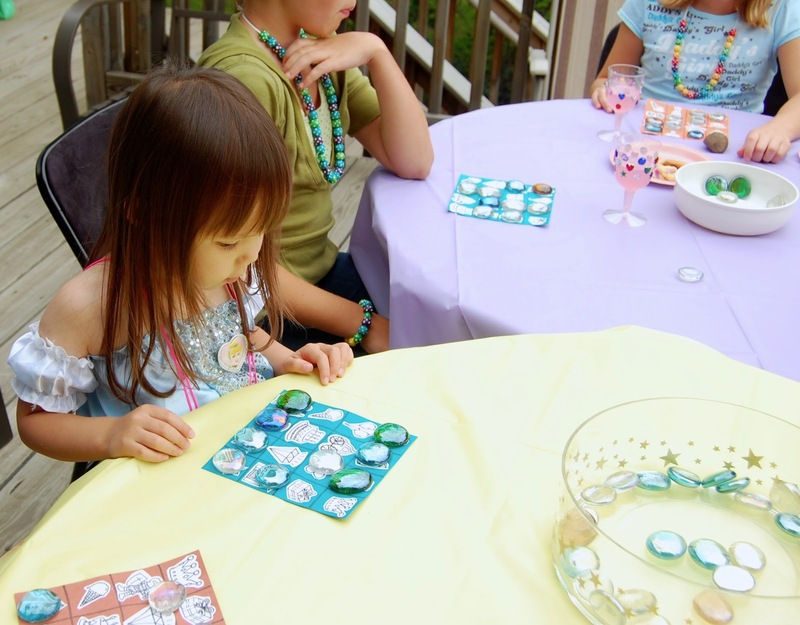 I don't like goodie bags with candy and plastic trinkets because that, to me, feels like fuss, but I am aware that some parents might roll their eyes at what their kids bring home from our parties and say, "What? Another fleece dress-up thing? Why can't she just hand out goodie bags with candy and plastic trinkets?" Different strokes for different folks, right? Will I need a whole bunch of adult helpers just to administer this (decoration, activity, craft, favor, food)? If so, maybe it's too fussy and something simpler will be better. P.S. If you are reading this and feeling guilty of having thrown fussy birthday parties yourself, don't feel bad. There will always be people more fuss-inclined than you. For example, I know of people who have hired an entire petting zoo (among other things) for their over-one-hundred-kid guest list birthday party for their kid. Feel better now? This really pertains to the prep period leading up to the party, and the expectations in question are those of the birthday child (and her enthusiastic sibling helpers). Kids love prepping for birthday parties but their excitement can drive a person up the wall. 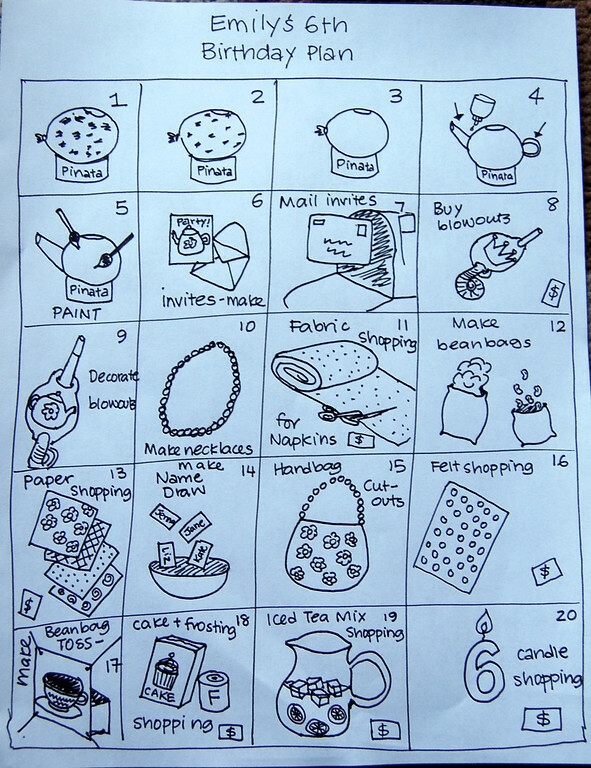 I often make a task sheet like this for the birthday kid - she picks out a task but Mom gets to say when we do it. If the siblings can help out on the day itself as well, it's even better. At Kate's Bug Party, Emily and Jenna staged a little indoor magic show for the guests while I set up an outdoor craft table and hid the flower pillows around the yard. The guests loved it, Emily and Jenna had a blast and I even got to take a breather! In an ideal world, there would be no limitations. Parties would be held in a spacious outdoor garden with stations set up for guests to enjoy activities and victuals at their leisure and in whatever sequence they prefer. In my world, we have limited space, limited furniture and a layout that requires maneuvring up and down stairs. So I often have to plan the flow of activities to minimize movement and/or maximize furniture use. 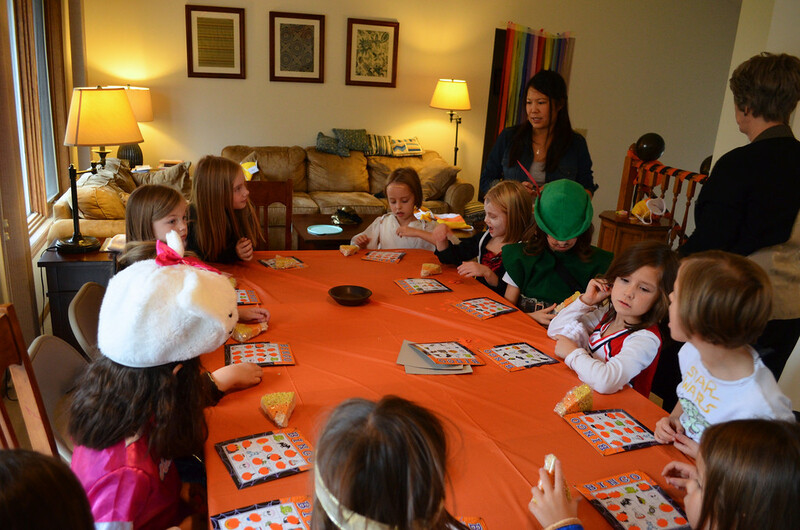 For instance, at Jenna's indoor Halloween party last fall, we had only one table that was large enough for all the guests and which we used, in quick succession, for a pizza lunch, a craft and two games. In between those activities, that table had to be cleared and set up anew, and the guests were moved to another part of the house for a distractor event meanwhile. It felt as if we were constantly herding children back and forth. 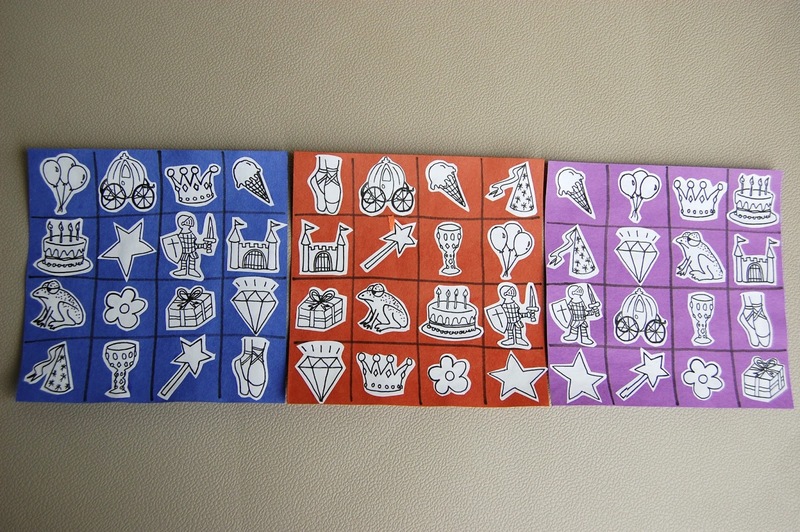 bingo cards. Maybe not as charming as hand-drawn but less fussy! 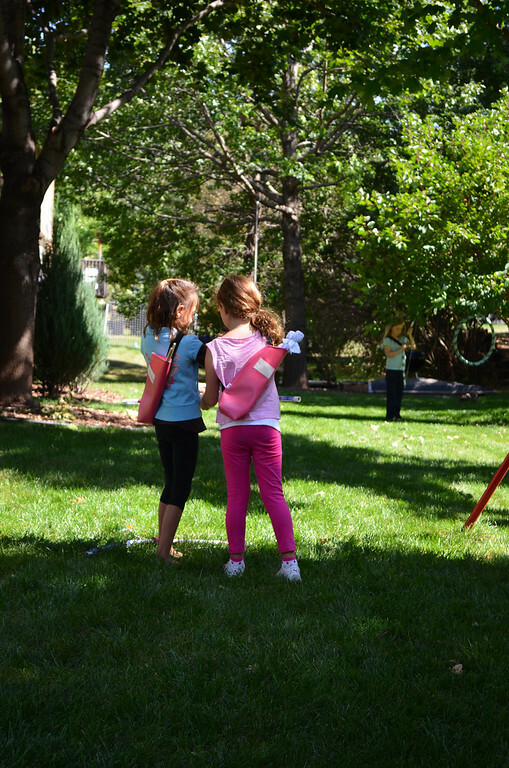 Emily's Archery party, held outdoors, had a much smoother flow - everyone finished lunch and cake, and then sat on the grass and decorated their bows for a good chunk of time before taking off on their own to try them out, no herding needed. 7 Maintain Equity, or Preassign Stuff. Sometimes, as creative people, our deep need for variety can be our undoing. Case in point: Anything I mass-produce has to be made in different colors, or else I get bored. The variety in colorways and print make for glorious photographs and happy people. Unfortunately, the same cannot be said for party favors. When they are available in different colors for guests to choose from, the pink (why?) ones will always be more highly desired. If, like I was in my early party days, you are foolish enough to offer these to guests, saying "Who would like blue?" there will be fights. Err on the side of blandness and buy or make identical favors. Or, if you cannot bring yourself to provide identical stuff, preassign (yes, label them with names) them to individual guests. Zero fighting, plus all the guests will feel very special that stuff was actually "reserved" for them by name. We use the same Preassignment Principle with the gift-opening sequence. Left to their own devices, all the guests will want to have their gift opened first by the birthday kid. I once even stupidly provoked them by asking, "Who would like to go first?" (Smack self upside the head). I am now wiser. We draw names out of a hat to decide the sequence. This way, it looks like a fun game of luck and randomness but it's actually a controlled environment. Either way, everyone feels that it's fair. Plus, if you're particularly smart, you could get a sibling of the birthday kid to draw the names- it makes them feel important at a time when all the attention is on their VIP sister (or brother). Extra equity-feeling all round. High fives for everyone! 8 Don't make it all. Buy at least half the stuff for the party. I like to divide the handmaking so that I'm not overworking on the day of the party itself. So if I'm sewing butterfly wings in the days before, I'm not frosting a home-baked cake on the day of. And I won't put streamers and balloons all over the deck if I'm also going to be decorating cupcakes half an hour after. Ah, the wisdom of hindsight, gained from ten parties' worth of mistakes! I love that moment when a party is over and I can kick back and relax. I am never stressed by the prep (cardboard and sewing- whoo! ), but directing the proceedings on the day itself feels like I'm just waiting to exhale. After, though, I always look at the lovely photos of the kids' happy faces and decide that it was worth it. Let's be honest - themed kid-friend parties are fun. I'd give my time and effort any day to throw those for my kids as long as they want them. But what I wouldn't also give for just a pot of curry and a houseful of family! What party tips do you have to share? I like your paper bag "compartments". Great idea. Outdoor parties are the best. I got lucky with second child who had birthday best friend. His mom and I traded off each year on hosting the boys parties. kathy: Man! I've gotta find me one of those moms. Then we can have biannual birthdays! Birthday parties... yikes! For me they definitely have pros and cons. I always find planning parties for my daughter much more fun than my son's. 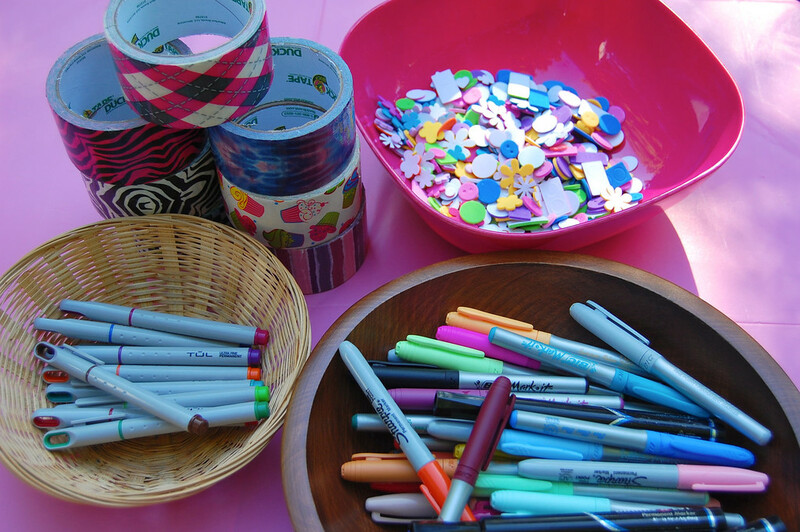 In my experience, girls like making a craft at a party. Boys, not so much. Boys (again, in my experience) prefer activities, the rowdier the better. I have been sorely tempted to just plop down a huge load of money at venue for my son's parties, but have so far resisted. For the boy parties, I limit the time to 2 hours. I can survive almost anything for 2 hours. LiEr, you brought up loot bags - I cannot tell you how many little plastic bags filled with dollar store stuff has made it's way into my house, and then out via the garbage when it breaks five minutes later. 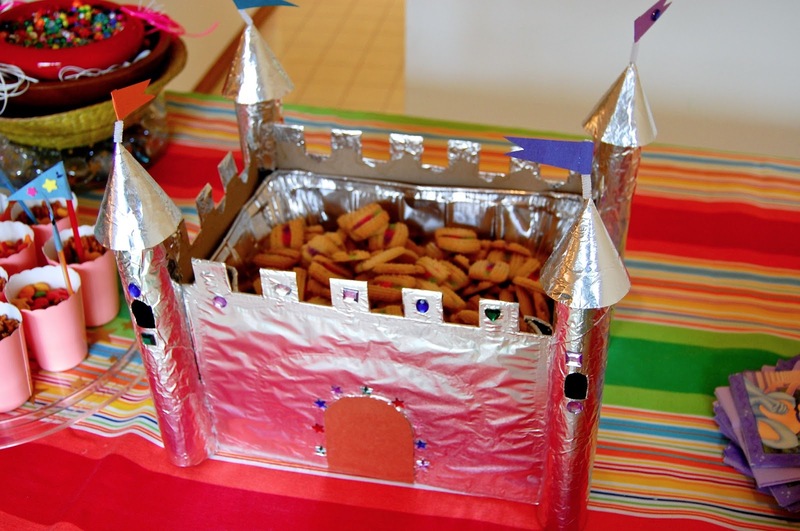 While I curse the expectation of loot bags (when I was a kid, loot was a little bag - smaller than a sandwich ziplock - with a sucker and a candy bracelet), I try very hard to avoid the trinket take-homes. When the kids were younger, I think I spent more time making handmade loot than planning the party! Now that my kids are a bit older (still not teens though), the loot gets easier. The last couple of birthdays, I had kids decorate pillowcases ($2/each at Ikea) with fabric crayons or tie-dye, which the kids then take home as their loot (maybe with a wagon-wheel or chocolate). I might need to change it up a bit because I'm sure parents are rolling their eyes and thinking "another pillowcase?" :) I must say though, that the loot you make for your kids' parties raises the bar! Thanks for your excellent posts! Anonymous: Argh, loot bags. I, too, try to avoid the Trinket Trap. But here's a funny thing: I've noticed that the Trinket thing is what my girls really get excited about shopping for. When they've decided on a theme, one of the first things they say next is, "Let's go to Party City and buy things for the goodie bags!" And they start brainstorming on all the possiblities. And I'm saying, "Uh... we never give out goodie bags, remember?" And they're so disappointed. Which makes we wonder if, often, folks hand out goodie bags because their kids have been the ones to assemble them ... because they really, really, enjoyed the process. That kinda changes how I look at goodie bags - if they're picked and chosen by the birthday kid herself/himself, I mean. Lesson I learned at some else's expense: I used to cater children's parties. One little boy aged 6 wanted to be a pirate for his birthday and his mother wanted to indulge him with a surprise party. She spent an OBSCENE amount of money with costumes for all the guests (crew) and one for the birthday boy (captain) and matching/themed everything in a time when Oriental Trading / Disney / Partyland had NOTHING piratey. I made most of it. It was an amazing event. Except the birthday boy was disappointed and sad. He was not spoiled, he did not want more; we simply missed a very tiny yet very important detail: no one asked him what "I want to be a pirate" meant to him. In his six year old mind, the most important part of being a pirate was having an eye patch. Seriously, all he wanted for his whole birthday was an eyepatch, a hook, and be allowed to say "arrrrgh". I learned generally speaking surprise parties take all the planning fun away from the child, and not asking a child for the details set us up to fail. Over $2000 spent, and he would have been over the moon with just an eyepatch. Trish Lee: Poor kid and mom! I remember having these discussions with my kids and almost always their ideas were on a different tangent from mine. When Emily asked for her archery party last year, I was all, "Robin Hood! Merida! William Tell! Leather! Yeah!" And she was, "Er, just archery, mum." And we had PVC bows decorated with duck tape and a happy birthday girl. It could've gone so wrong if I'd had had my way. What a good comment! So true...and so easy to do (on a smaller scale. I can't fathom this scale you describe). I always pick a theme but I spent more time designing and preparing activities for the kids than matching dessert tables. 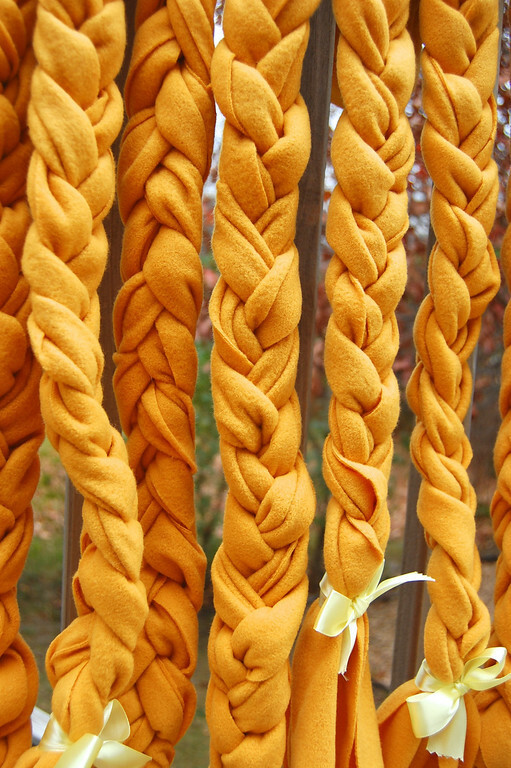 A craft, a couple of high energy activities, a 10 to 15 min. puppet show (I am a storyteller and puppeteer) and open play. I do not invite more than 12 kids, trying to keep it under 10, and always around my daughter's age. As give-away I buy meaningful things related to the theme. I always include a book (Amazon used to have a deal - buy 3 and 1 free, not anymore), watercolor, kaleidoscopes. I have to confess I am not cheap in this department. I rather give one item that cost $10.00 than buying bunch of items that will end in the garbage can. This is my opinion and respect others. Love your paper bag idea and I am using it in our next party. Anonymous: I'm with you on the non-skimping with the party favors. We've given away good toys before as prizes - Playmobil, Lego, Hexbugs etc, because I personally think it's worth it. We mostly make our favors because I enjoy the process, too. A puppeteer and storyteller! We need to have you come to our parties. In fact, that has given me an idea for a new party. Now to convince the kids to let me have free rein. cecile: Noooooo! Bigger parties aren't better. Simpler and smaller and low-key are the best! I through very toned-down birthday parties for my kids, and I'm really looking forward to sunny CA weather so that they can all be outdoors! So far we have had indoor-only parties, because my kids have winter birthdays. I think I need to schedule them for warm weather regardless of what the weather is like, the way you do. Love the idea of each child having a paper bag for their belongings! Oh, sunny all year round would be glorious! Then you can just hit a park and grill hot dogs and have a cooler of popsicles and call that a party (and it would work)! It's the perfect 4-step, 2-hour party! Beautiful Letdown: Thank you for sharing YOUR tips! They are awesome. I've gotta remember the ice cream sandwich idea for treats! We've never had a real summer party before (our only outdoor one each year is in September and even then, the weather is iffy) so it's nice to pick up ideas for summer goodies. Like you, I think I'll miss the Party stage of the kids' childhoods, too. Fortunately, we still have quite a few years to go! It's very interesting Lier! I laughed at your over-fussing examples...I hear moms all the time saying they can't bring their kids to the same place two years in a row...I guess it's more about their adult self thinking that than the child! I want to share my international perspective. In Italy I have been to kids party where there were no activities planned...just the outdoor facility was there and I saw these 7 year-olds having the best time. Then there was a OMG moment when the child opened a gift he didn't like and said it out loud...the poor gift giver started to cry...and the mom said: 'That's what happens when a child has too much'. I'm curious to see if you briefed your girls about this possibility. At some parties, people hire animation, e.g. a professional that will entertain the kids. When I was child we had parties at home with kids from school...food was mostly homemade (especially the simple birthday cake) and we bought pizza. Sewing Princess: Thank you for that perspective! We'd definitely thought about doing parks for birthdays in our family, too, because - and you're right - the playground+friends = heaven. About getting gifts: I am glad to say that we've never encountered a situation like the one you described. Our girls generally like any present they receive because (they say) the thrill is in getting a gift at all. And Emily (she's 8), in particularly, is also sentimental about the givers themselves e.g." I like this gift because it was from Molly!" Which I think is great. However, we've had a few situations in which the girls open a gift, and it was a duplicate of something they already have. They hesitate a bit and then say, a bit doubtfully, "Thank you." which makes me feel both proud of and sorry for them, while staring at it hard as if trying to will it to change to something else. So yes, we have briefed our girls on manners and appreciating guests (which is the reason we have them open their gifts first thing at their parties). That said, our Kate (she's just turned 5) is a bit more candid, so we're working on getting her to remember to show her gratitude even when she gets duplicate gifts. We've always opened gifts at their parties -- that's a total of 21 birthday parties between the two kids -- and we've never had an uncomfortable situation. Not once. Even when they were preschoolers and had 20-30 guests under the age of 6. I think people are more afraid of the gift-opening ritual than they should be. Planning and advance training is the key, and I believe it's worth doing. The habit so many people now have of opening all the gifts privately later saddens me. When my grandma was young, there were no birthday parties at all. Not for girls, not for boys. A visit to the temple, or a havan or puja maybe, along with charitable deeds for the boys' birthdays. When my mother was young, a family get-together would mark the day. When I were young, mother ensured that our birthday parties were totally home-made, including but not restricted to - party dress, cake and everything else to eat, party hats, invites etc. A couple of adult directed games maybe, but for the rest us kids, of various ages, were left to our own devices while the adults chatted and helped finish the food :) The guests were family, family friends, neighbours, school teachers and a few classmates along with their families - no concept then of 'just the kids'. All the gifts were opened in private after the guests had gone: it was a special family time with candid comments. There were no return gifts, which everyone seems to expect nowadays. For the next generation, I mix handmade with store bought, but have no space, help or inclination to invite entire families, so sadly its select friends only. But still no pinatas: the custom of competing for a handful of candy seems rather uncivilized, encouraging selfishness. And although I give return gifts and prizes for various games, the gifts received are opened privately. It makes no sense to me to have a public display, exposing a child's parents' shortcomings to that child should there be any comparing of gifts - and that is inevitable. No one expects otherwise, and certainly the kids don't clamour to have their gifts opened. A thank you card goes with the return gift and I call up the parents a day later to thank for their gift. So I guess its just cultural - what you are used to since childhood! Wow, your birthday cake was most impressive. I remember birthdays were all family reunion parties. Serena: With a big pot of curry? We had those family curries too! And bee hoon! I don't know why but there was always bee hoon! Is this (decoration, activity, craft, favor, food) for the birthday kid (and her guests) or about my own self-expression? My husband asked me the same thing quite recently!! Food for thought for the next party I plan. Corsage: Hey, S! Bee hoon! How could I have forgotten? And sambal belaccan. Also fishballs. Sigh. Now that I've surfaced these repressed memories, I can never cater pizza at parties again. Ah, but something (activity, craft, etc.) being what the child wants, and that thing being about the hosting parent's self expression, are not necessarily contradictory! At my children's parties we put quite a bit of effort into achieving both, and we are usually very successful. Sure, they might be happy with a simple run-around-the-park party, but that would bore ME to tears, so (for us! not talking about anyone else) it's not worth doing at all. And the fact that it mostly just makes ME happy to obsess over the details of the invitation wording, that doesn't mean the kids don't appreciate an awesome invitation! My children take a great deal of pleasure in choosing their annual theme and helping me translate that into party games, decorations, and a cake design. (My rather elaborate cakes are a special tradition for all of us.) For me, many of the things that you consider too much fuss or too much work are in fact part of the fun -- I don't at all mind parties that involve "herding" for example -- but it is definitely a matter of "your mileage may vary." Yes, we have often filled goody bags with assorted plastic trinkets, but always, every item in the bag is specifically chosen to relate to the theme, and is something my children think is cool. I consider the plastic-trinket-goody-bag worth doing even though most parents dislike them because the kids adore them -- both choosing/giving, and receiving. 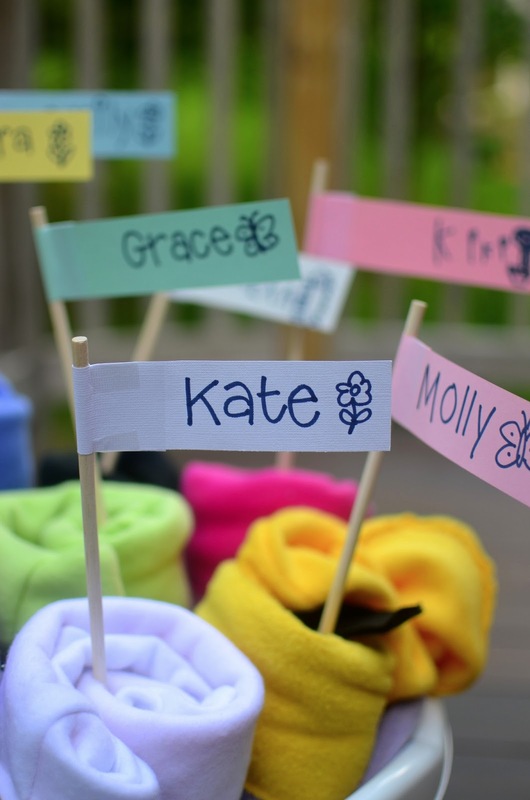 In some years we have offered a smaller number of more substantial "party favor" items rather than a bag of little cheap toys; that is easier as the kids get older but it also depends on the theme. The paper bag "cubby" is a very good idea; we've never used anything large enough to hold sweaters and very often have some left behind! But we do tend to present each guest with their goody bag (or some little favor to be put in their bag with their craft projects etc.) at the time the birthday kid opens that guest's gift. (Gift-giving is always our last activity; it seems so strange to put that first! Again, YMMV.) The kids are usually excited to check out the contents of the bag while still at the party (and when they were younger, this also helped head off any emotional difficulties over the gift-giving process), and they play with the favors, together, while awaiting pickup, so I doubt we would find it as satisfying to drop the goodies in a bag to be opened after departure. Hollyml: When a parent's self-expression align with the child's wish, the planets are in sync. And we all cheer. Whooo! And I would be the last person to tell people to minimize the "fuss" factor, given that I've sewn shirred sundresses to dress Hello Kitty softies (which I also sewed). I prefer the term, "manage" to "minimize", since my entire blog is proof of how lousy I am at minimizing anything! Years down the road, when we look at the photos with our (now adult) kids, we'll only remember how much fun everyone had. oh man, I live on a different planet. We have not done a kids' party yet - it's just family, but it's more child-centered than your Singaporean birthday parties. I had been firmly AGAINST kid parties until I read the comment from the mother of an older kid who is going to miss this stage. So, yes, maybe I should do a party or two. . . Your take home bag idea is brilliant! I need to start doing that every time my nieces and nephews come over. The number of socks I find lying around after a visit is mind boggling. Most kids only have 2 feet, right? !